Friends of Burgess Park and the Walworth Society are supporting the application by Historic England to have the World War One war memorial outside St Georges Church listed as having special architectural and historic interest. Some people may be surprised that this wasn’t already done. You can see more information on the bronze sculpture by Danish artist Arild Rosenkrantz on our page on St Georges Church. Although born in Denmark, Rosenkrantz grew up from the age of three in Scotland and settled in London at twenty eight. He had a strong interest in mysticism and spirituality, and worked mainly in stained glass and painting. 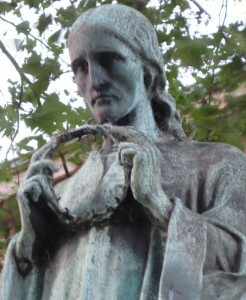 He studied and worked in Rome, Paris and New York, and also worked in Switzerland for Rudolf Steiner. The memorial was unveiled on Sunday 19th September 1920 by Camberwell Mayor John George Spradbrow, and Reverend PM Herbert, Vicar of St George’s church. The funds for the memorial were raised by local parishioners. 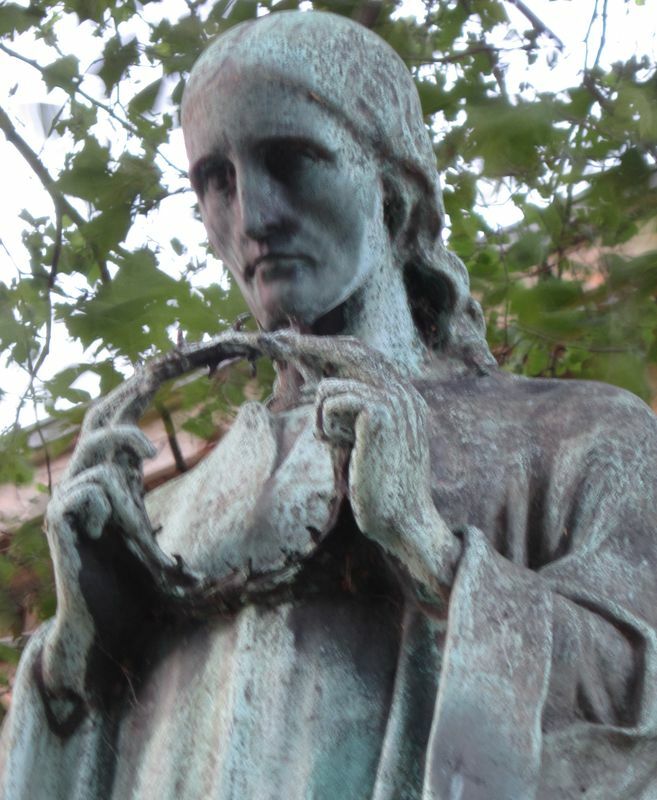 The listing should give it a degree of protection, which would be useful, considering that it’s already been stolen for scrap and recovered once, and considering that the other memorial to war in the area has also disappeared. 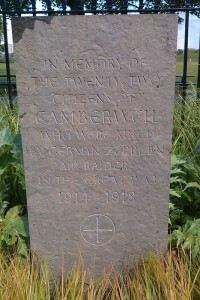 There had been a plaque to the memory of the 10 people killed in the Zeppelin raid in Calmington Road, until the buildings were demolished for the formation of the park. 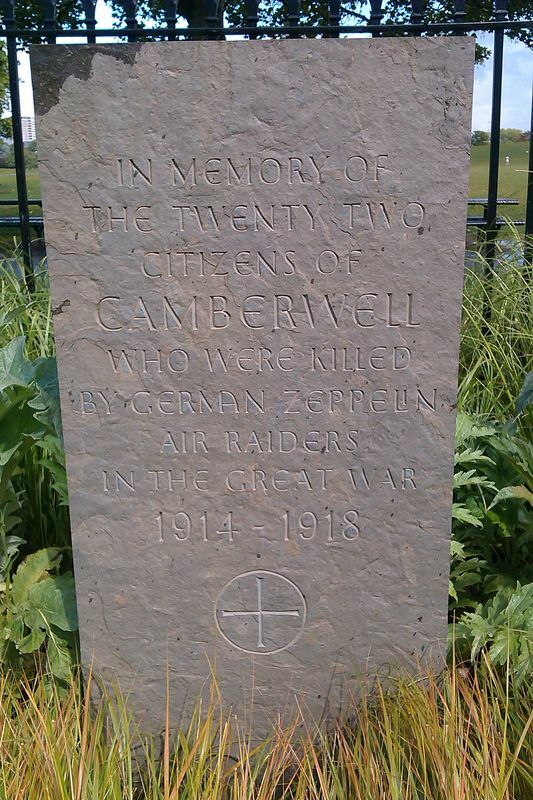 A memorial stone was recently placed in Chumleigh Gardens, in recognition of all the lives lost during the first world war in the Camberwell area. We intend to commemorate the centenary of the Zeppelin raid in October this year – watch this space. Group value: with the Grade II-listed St George’s Church. The memorial is now officially known as the Burgess Park War Memorial.